Partial coverage for seating up to 4 seats. Relaxation Armchair cover and upholstered sofa. 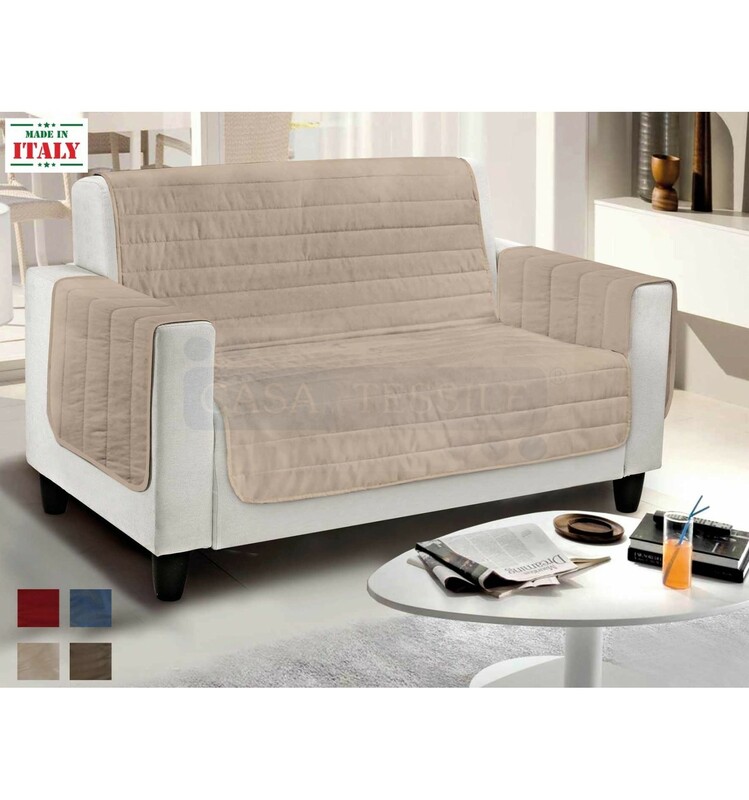 Soft and fluffy like a quilt, this sofa covers will make it even more comfortable your moments of relax ensure protection in areas mostly exposed. In fact not completely hides your sofa or armchair but lies on the seat covering from the front to the back of the couch while 2 sides will fall over the armrests. It is created by 2 solid polyester liners from the hand shaved with a layer of soft padding stuck through quilting. 4 seater sofa = 227 cm width. + armrests. Prodotto eccellente, secondo le ns. aspettative, servizio ottimo. Ottimo materiale, bel colore. Esattamente quello che cercavo.